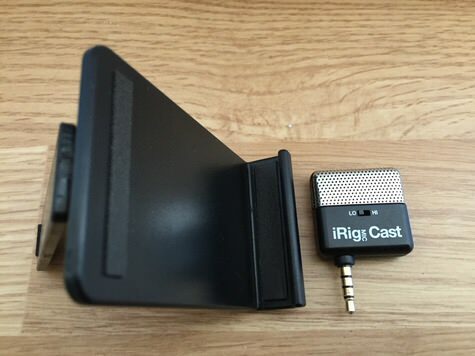 Being on the road and trying to keep up a schedule of recording a semi daily podcast with above average sound quality was proving a challenge, until the iRig Mic Cast landed on the doormat. An ultra compact, lightweight and an incredibly affordable microphone for your travel bag, the Mic Cast is ideally suited to the challenge. The iRig MiC Cast is ultra-lightweight audio port microphone weighing only 10 grams (0.35 oz for our Imperial friends), which makes it super portable but also means it gives the Apple TV remote a run for its money in terms of playing hide and seek! Being so small, one obvious drawback is the lack of a key ring or other attachment point. Although it’s light weight, durability doesn’t seem to be an issue with the Mic Cast being incredibly hardy. Surviving life in my backpack pocket, sharing space with my iPhone, and the odd drop to the floor has proven its resilience — the Mic Cast emerging unscathed, unscratched, and un-dented from its adventures. Feature-wise the Mic Cast is decidedly simple. A headphone out TRRS jack on the side, and on the front a switch to toggle between Hi and Lo sensitivity are the only options available. When set to Hi the microphone sound expands, capturing more sound and as the name suggests, increasing the sensitivity of the unit. Use this mode for distant recordings such as recording a guitar whilst it rests on your lap. 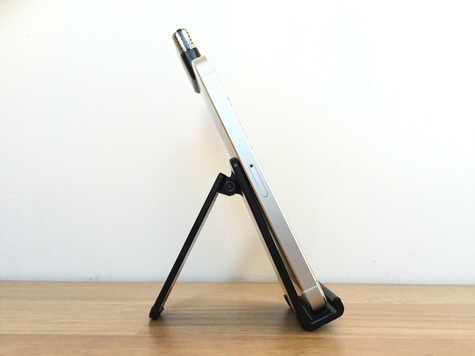 Lo mode is better suited to audio recording and ideal for podcasting; simply attach the Mic Cast to the iPhone audio jack and talk into the front to record audio. 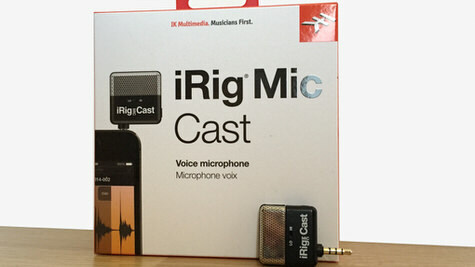 Bundled with the Mic Cast is iRig Recorder – a simple, one function app, which provides a high quality recorder app experience for the iPhone. Basic in offering, it does allow recordings to be paused, setting inputs/outputs, and exporting to external services such as Soundcloud and FTP. A good yardstick for the quality of audio recording is to test Siri commands. With the standard Apple headphones I have been observing ~60% accuracy. Testing the Mic Cast, the accuracy increased significantly to 90% when done in a quiet room with no wind noise. However, being more sensitive, ambient effects such as wind can impact the results significantly. Using my most professional radio presenter voice here are 3 clips, unedited to illustrate podcast/audio recording. Segment 1 : recorded with iPhone headphones. There is no requirement to use the bundled programs for recording and for the purposes of comparison, here is a band recording. Although not ideally suited to the abilities of the Mic Cast it does illustrate its performance in a live environment. First 15 seconds are on Lo Mode, and last 15 seconds are on Hi. If you’ve been inspired to: setup you own podcast; capture your own voice for transcription; or record your guitar licks, the iK Multimedia iRig Mic Cast is an ideal device. 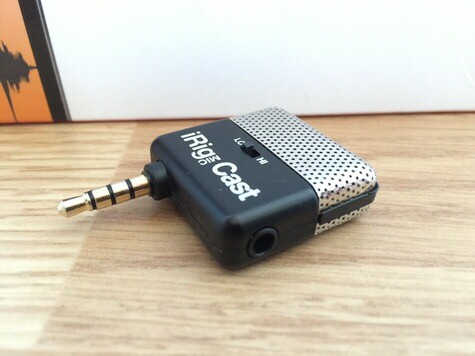 Being small and portable it will give you higher quality recordings than the built in iPhone line microphone and best of all, it’s incredibly budget friendly. MyMac Review Rating is 8 out of 10, with my personal recommendation.